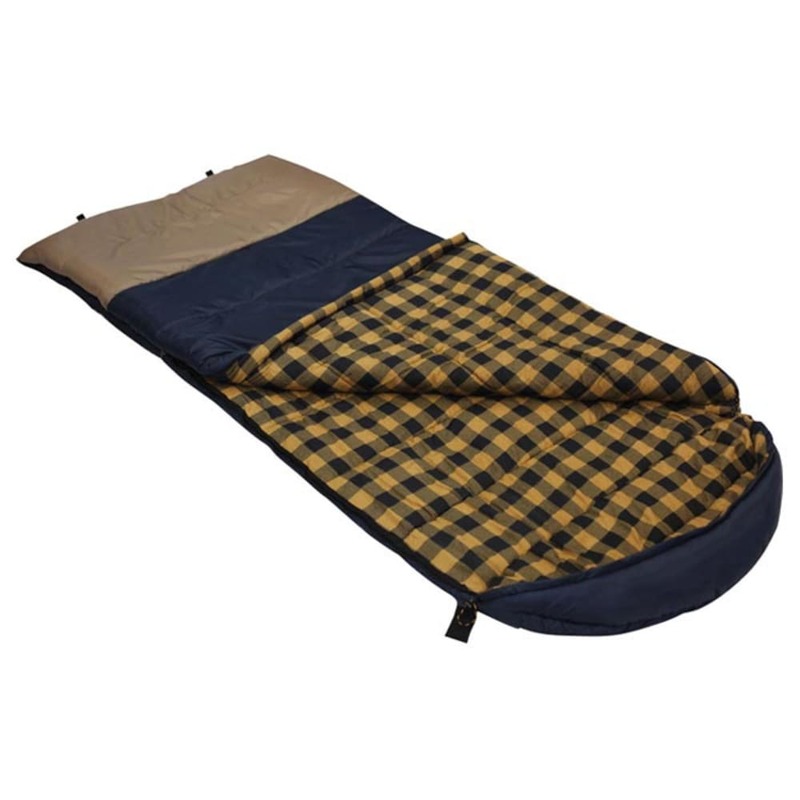 Oversized flannel lined sleeping bag. 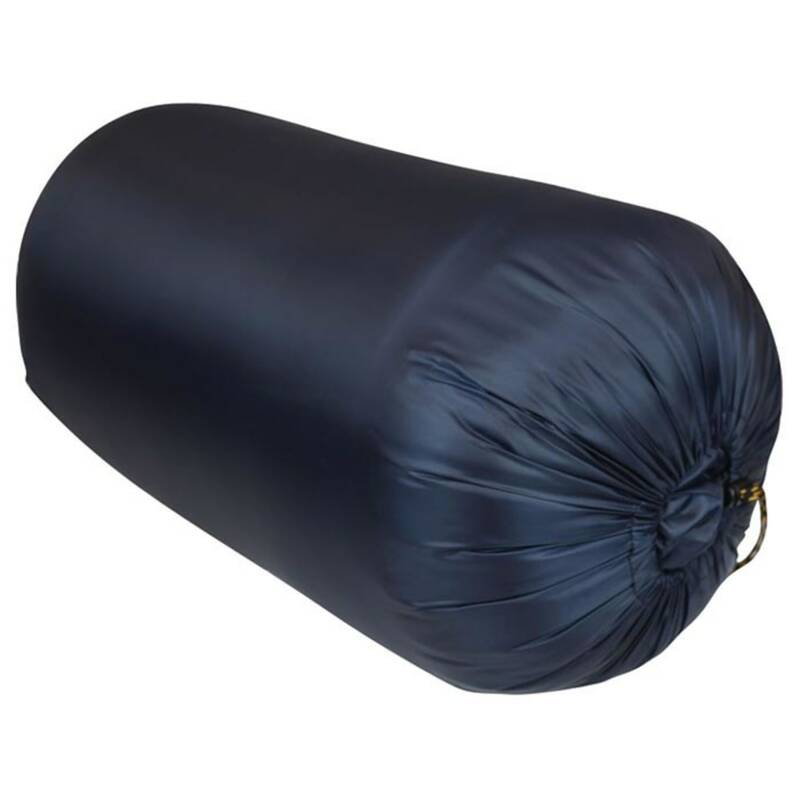 Rectangular with mummy hood, ability to zip two bags together. Pillow included.